On this Baltic States, Russia, and Scandinavia tour package, you’ll journey from Denmark to Sweden traveling through Germany, Poland, Russia, Finland, and the Baltic States of Lithuania, Latvia, and Estonia. Along the way, you’ll experience UNESCO World Heritage Sites, old cities, beautiful scenery, and fascinating historic sights-with overnights in Poznan and St. Petersburg and the capital cities of Copenhagen, Berlin, Warsaw, Vilnius, Riga, Tallinn, Helsinki, and Stockholm. Enjoy included sightseeing of the must-see attractions in many of the cities you’ll visit on your affordable tour of the Baltic States, Russia, and Scandinavia. In Copenhagen, see the famous Little Mermaid statue. Walk through Vilnius’ Old Town, a UNESCO World Heritage Site dating to the 11th century and with historic buildings that are gothic, renaissance, baroque, and classical styles. In Riga, walk through the Old City, founded in 1201 and today a UNESCO World Heritage Site with a variety of architectural styles-romanticism, gothic, baroque, classicism, and modernism. Walk through Tallinn’s Old Town – a UNESCO World Heritage Site with watch towers, cobbled lanes, and medieval houses. In St. Petersburg, a Local Guide will introduce you to the many palaces, parks, monuments, squares, wide boulevards, and 600 bridges that delight visitors. Helsinki’s sightseeing highlights include the Lutheran Cathedral, completed in 1852. Your affordable tour includes an overnight cruise-with music, dancing, and shopping on board-from Helsinki to Stockholm and a 2-hour ferry crossing from Denmark to Germany. Visit Latvia’s 16th-century baroque Palace of Rundale, the former summer residence of the Duke of Courland. Stroll on the sandy beach in Parnu, Estonia’s lively historic seaside town. Throughout your budget-minded Baltic, Russia, and Scandinavia tour, you’ll be spoilt with scenic landscapes. 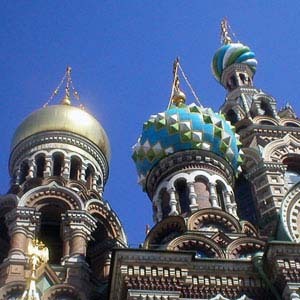 Enjoy an adventure of a lifetime on your fantastic, yet affordable, Baltic States, Russia, and Scandinavia tour. It’s a perfect vacation for value-minded travelers who want to experience it all.